Motorola is giving its Moto X4 Android One device owners the perfect Christmas gift in the form of the Android 8.0 Oreo update, which has just started rolling out. The Android One variant of the Moto X4 is purely stock Android and may have only required Moto to tweak their camera app to make the dual rear-lens setup work. 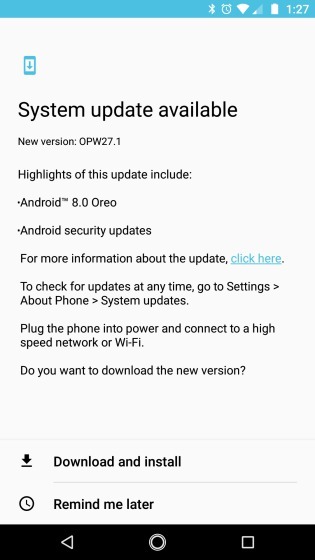 As seen in the screenshot attached below, the Android Oreo update carries OPW27.1 as the build number on the Moto X4. It brings along the latest flavor of Android and the December security patch to the device, meaning you’ll now benefit from the new features on Android 8.0 Oreo. The download size of the update is said to be around 1GB. 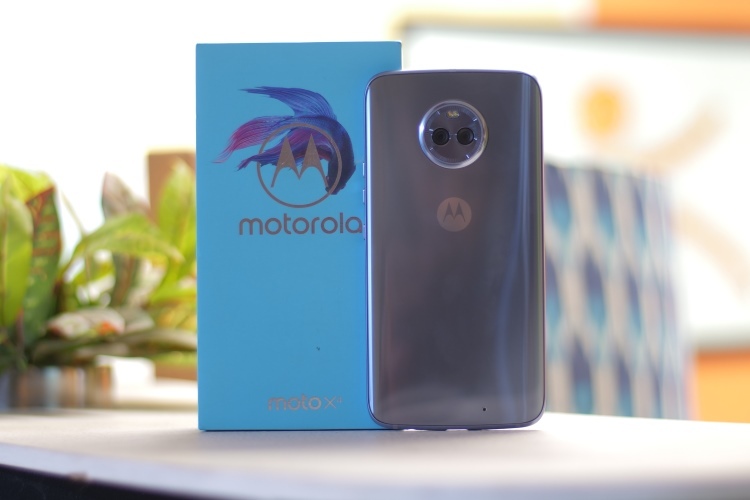 The Moto X4 Android One variant on Google’s Project Fi wireless network is only available in the US, so you bought the Moto X4 with a skinned version of Android, you might have to wait a little longer for the Oreo update. As opposed to Motorola, Xiaomi was the very first phone maker to partner with Google to revive the Android One program with the launch of the Mi A1. However, the Chinese giant isn’t as active as Motorola in delivering timely updates and still hasn’t rolled out the Oreo update. When it announced the Mi A1, Xiaomi promised to deliver the Android 8.0 Oreo update to users by the end of 2017. It started testing the Oreo beta builds with a few selected users about a couple weeks ago and now only has a week to deliver stable builds to everyone. We’ll have to wait and see if Xiaomi makes good on its promise, but if you bought a Moto X4 Android One device to receive timely updates, you can now download the Android Oreo build. So, have you received the Oreo update on your Moto X4 Android One edition? How’s the experience? Do let us know in the comments down below.